Vocabulary: spaghetti, meatballs, sandwiches, chicken, sausages, potatoes, eggs, salad, chocolate, ice cream. Click the image to download flashcards for food vocabulary. 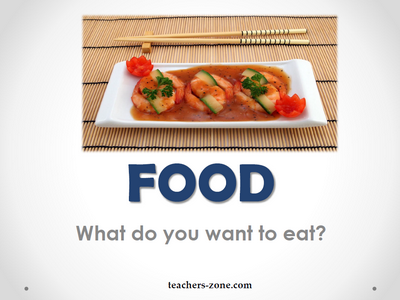 To check the vocabulary use food flashcards without labels and wordcards. Vocabulary: cereal, bread, toast, roll, baguette, croissant, boiled eggs, fried egg, scrambled eggs, omelette, cheese, cottage cheese, ham, sausage, bacon, butter, sandwich, honey, jam, coffee, tea, juice, milk. 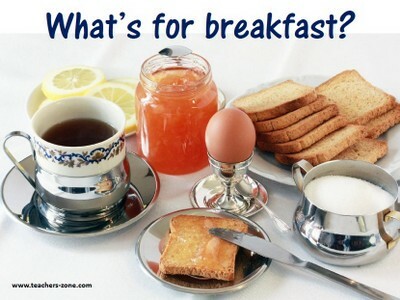 Click the image to download flashcards for breakfast vocabulary.